No, I'm Not Talking to Myself: Goodbye, Kitty! I'm not going to get a chance to get the window properly fixed anytime soon, so I have cat-proofed the car myself. 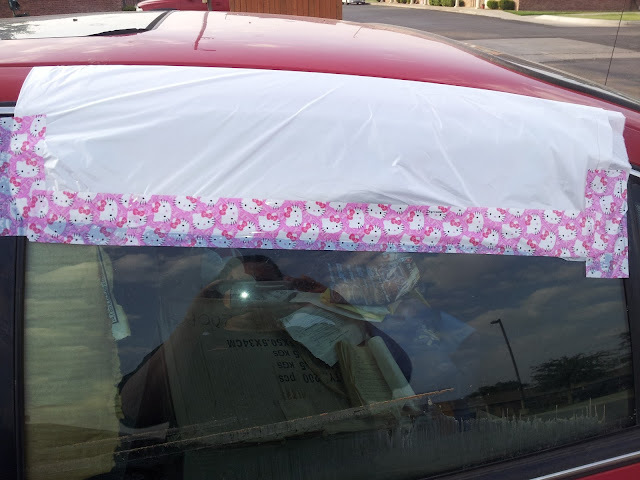 With Hello Kitty tape because I do love me some irony. Hello Kitty says "Goodbye, kitties!"